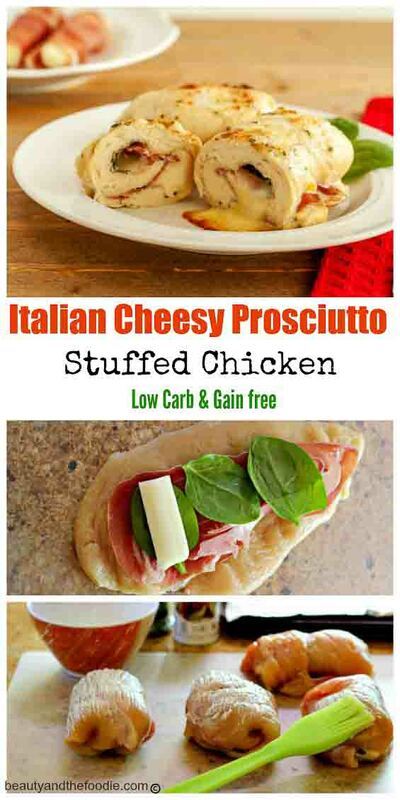 Italian Cheesy Prosciutto Stuffed Chicken, grain free and low carb. 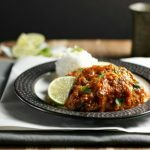 Italian cheesy prosciutto stuffed chicken is a grain free, low carb chicken entree that seems fancy, but is actually very easy to make. This is so much easier than the chicken dish I used to make that is rolled in breadcrumbs. 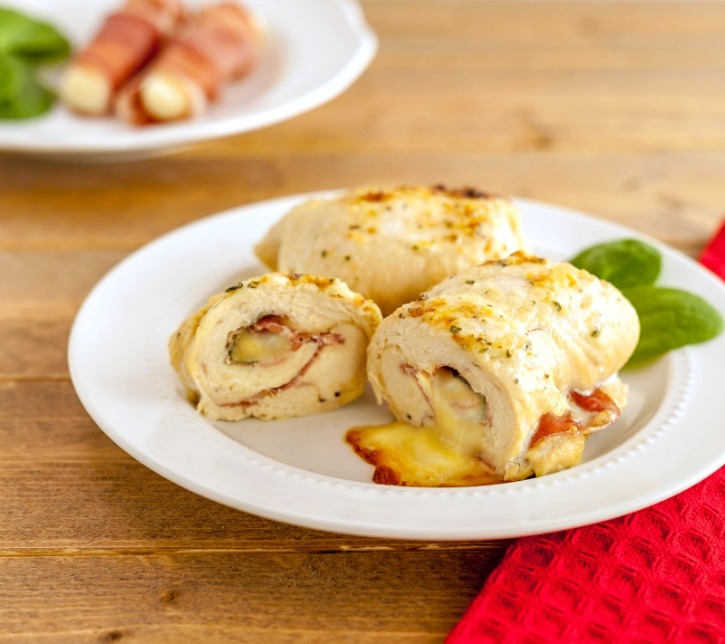 Chicken breasts are pounded thin, and then stuffed with spinach, prosciutto and mozzarella cheese and rolled. Then they are coated with the seasoned mayonnaise and Parmesan. Now don’t get squeamish about the mayo. 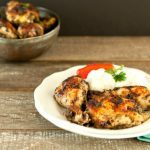 It cooks into the chicken and makes it nice and juicy. So, it is not one of those swimming in mayo type of dishes. If you have mayo phobia like my husband, then the previous disclaimer was for you. But if you’re like me, then you are probably thinking “what is she talking about, mayo is delicious”. My husband gets really freaked out by larger quantities of mayo. Do you know someone like that, or are you like that? Please leave a comment and share your feelings or stories about mayonnaise. Delicious Italian cheesy stuffed chicken. Preheat oven to 350 F, and line or oil a baking sheet. 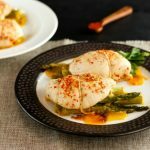 Place chicken breast halves between two pieces plastic wrap or parchment paper and pound thin with a kitchen meat pounder or mallet. 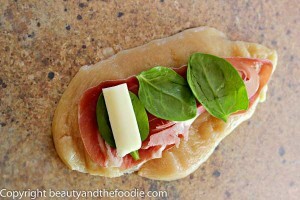 Once chicken is thin, peel off top plastic wrap or parchment paper, and place a slice of prosciutto on top. Then place a little spinach on top, and then a string cheese. 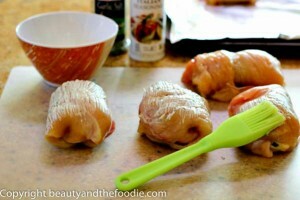 Roll each half.chicken breast around the filling while tucking in the sides. Place each chicken roll on the baking sheet. If chicken won’t stay rolled then use a wooden toothpick to keep together. In a small mixing bowl combine: mayonnaise, garlic powder, sea salt, italian seasonings, and black pepper. Mix together. 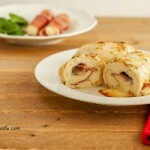 Use a pastry brush or butter knife to spread the mayonnaise mixture over the top and sides of the chicken rolls. Sprinkle the top with parmesan cheese. Bake for 30 minutes, or until chicken is done. Serve. Myrna, I just used the powdered sort of Parmesan cheese, but the grated kind may work as well. 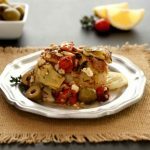 Could I use Greek yogurt in place of the mayo? Omni, yes as long as it is the unsweetened plain variety of yogurt. This sounds delicious. I would like to make this for company. How far ahead could it be made (up through what steps)? I would either make them and bake them just a little bit short of being done (before browned) in advance and cool, cover and store in the fridge and then reheat until browned. That could be done a few days (2-3) in advance. Or you could prep them in advance, cover and store for later that day or the next to bake.